Chivas Regal 12 is a brand made for gentlemen that incorporates luxury, craft, substance and style into everyday life and is now giving you the opportunity to do the same. 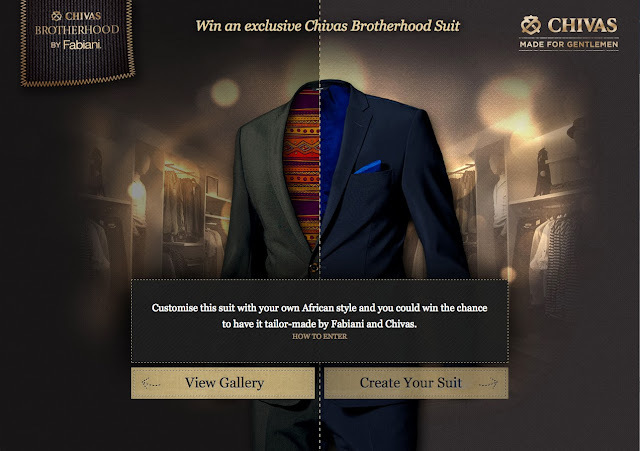 By visiting the Chivas Regal 12 micro-site at www.madeforgentlemen.co.za and entering the competition on the page, you stand a chance to win a bespoke Fabiani suit, which will be tailored to feature the unique design you created. “Both Chivas Regal 12 and Fabiani provide a way for the modern gentleman to stand apart from the crowd, recognise the value of craft and heritage and express success through luxurious items made exclusively for them. Both brands are truly Made For Gentlemen,” says Mac Mabidilala, Brand Manager for Chivas Regal. 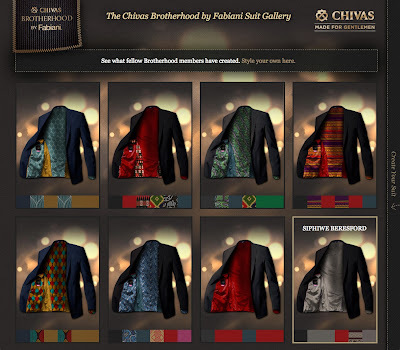 When entering the competition, you are prompted to customise your own unique, African-inspired suit using the options on the page. Once you have completed your design, you will be prompted to share it with friends and family, which will put you in the draw to be the winning design. Chivas Regal 12, a brand of the Pernod Ricard group, will also be present at this year’s FNB WhiskyLive Festival, taking place at the Sandton Convention Centre from 6 to 8 November 2013. The FNB WhiskyLive Festival has a reputation as the largest, liveliest and most exciting whisky tasting lifestyle show of its kind in Africa. The much-anticipated annual expo will be the place to go to sample established local, international premium lifestyle whisky products, as well as new whiskies launched in the South African market. “The Chivas Regal 12 stand will encompass everything the brand stands for, including style, substance and luxury. 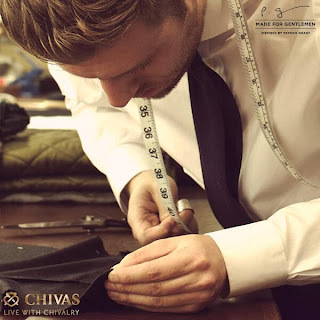 We will be giving visitors the opportunity to meet with a master-tailor who will provide insight into the craftsmanship of tailoring. Visitors will also be able to enter the competition via the microsite on the stand to stand a chance of winning a tailor-made suit,” concludes Mabidilala. 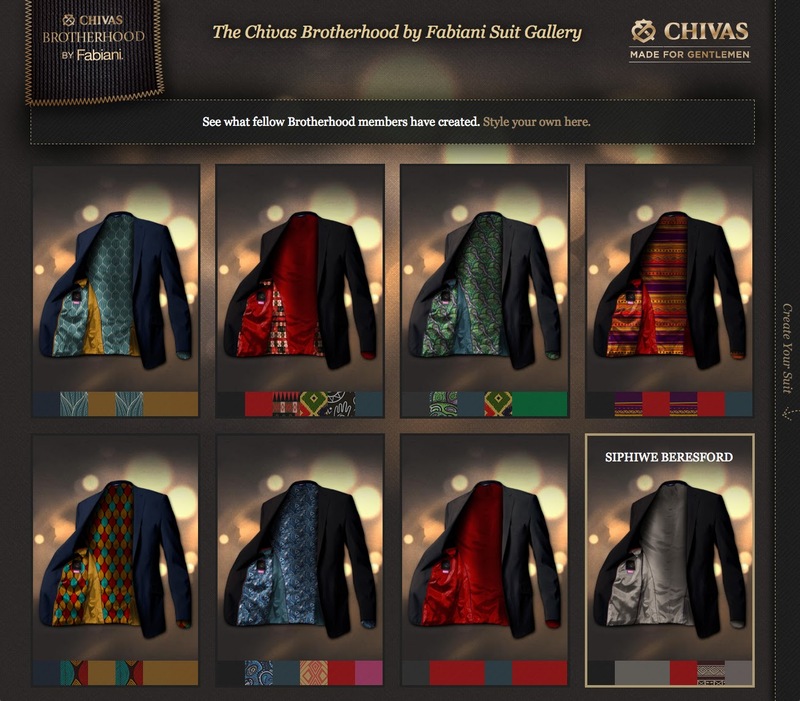 CLICK HERE to check my Chivas Brotherhood by Fabiani suit! Get ready for the “The Great Bugastby”!